Most of you know us as Ghost Bear – an organization or a vision or a collection of stories. Allow me to pull back the curtain and introduce you to my co-founder, Simon Jackson. 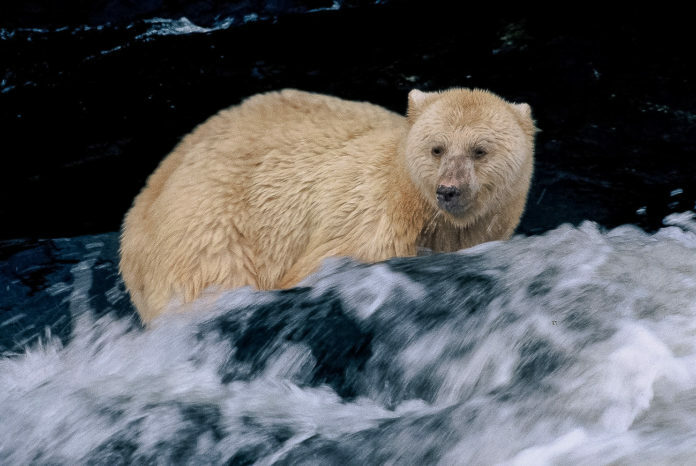 At the age of 13, Simon founded the Spirit Bear Youth Coalition in the quest to unite the voice of young people to save Canada’s endangered white Kermode – also known as the spirit or ghost bear. Through the Youth Coalition, Simon led the campaign that helped raise international awareness about the plight of the rare bear, transforming the organization into the world’s largest youth-led environmental movement with a global network of more than 6 million in over 85 countries. After almost two decades of work, the spirit bear is now saved, with its last intact habitat having been set aside from development through one of the largest land protection measures in North American history – the byproduct of diverse stakeholders working together for a common purpose. And in case you didn’t know, Simon is the person who has been writing most of the stories you read, leading the conversation with diverse citizens on how we can create a world that champions nature literacy and has navigated and DJ’ed every single kilometre (literally) of our journey. Indeed, Simon’s story and his storytelling ability, combined with his understanding of how successful movements are built, is the backbone of Ghost Bear’s work.